Due to potential impacts of Tropical Storm Nate, it is with an abundance of caution that we have decided to cancel Saturday and Sunday’s activities at Pirates of the High Seas fest. Friday’s activities will continue as planned. 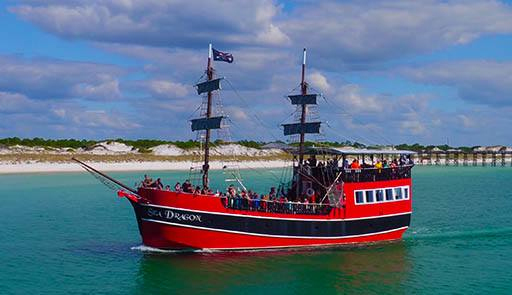 The safety of our visitors, local residents and employees is our top priority and we look forward to welcoming back the Pirates of the High Seas fest next year. Even though a direct hit from this weather system is unlikely, we will be prepared for any possible effects and closely track all further developments. The Grand Lagoon Treasure Hunt, which began on Monday and lasts through Saturday, is still ongoing and a winner will be announced during the 2nd Annual Bloody Mary and Music festival on October 21. For more information, call 850-233-5070 or visit the official website of the Panama City Beach Convention and Visitors Bureau at http://www.visitpanamacitybeach.com. Stay connected with Panama City Beach on Twitter (@Visit_PCB), Instagram (@Visit_PCB) and Facebook (@Visit_PCB).